For simple needs, this security setup can work well. 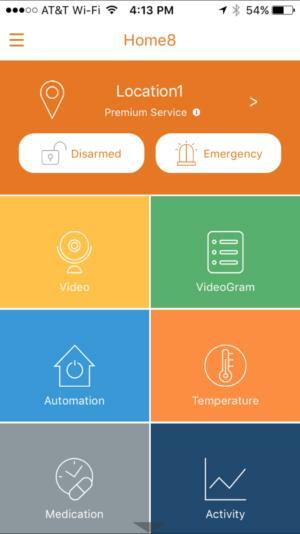 One of the limitations of most DIY smart home security systems is kind of a biggie: Most of them don’t include video recording features. If the alarm goes off and you’re not home (or, worse, you’re in bed) do you automatically trust that the alarm is legitimate and call 911? Or do you verify the intrusion is real by seeing what happened on video? Home8 hopes it’s the latter, putting a video camera right in the box as a default, and integrating it directly with its home security hardware and app. Inside the Home8 starter kit you’ll find a hub (Home8 calls it a “Security Shuttle”), the aforementioned tiny HD camera, two window/door sensors, an infrared motion sensor, and a keychain remote. That’s a lot of gear, and once you extract it all from an innumerable number of plastic bags, installation is fairly painless. The hub connects to your router via ethernet. The sensors all include lithium-ion batteries that install without much fuss. Note however that the camera requires USB or wall power—and the cord is quite short, so plan accordingly. Pairing is a seamless process. 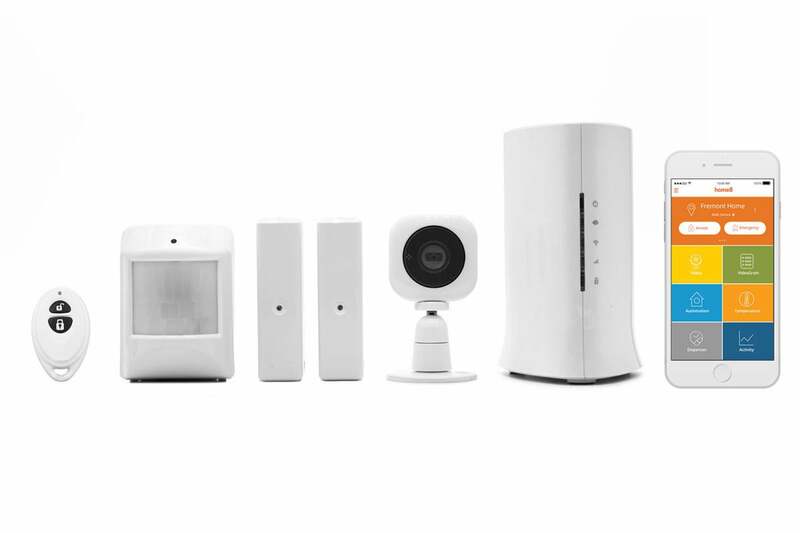 While most security systems require you to painstakingly pair each sensor, one at a time, Home8 finds them all at once. Everything mounts with double-sided tape, and while they aren’t the most inconspicuous or attractive sensors on the market, they’re small enough to fit in most environments without fuss. 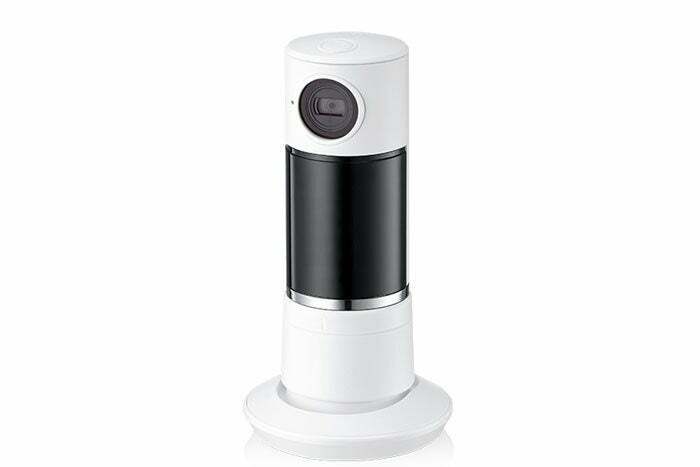 You can add these app-controllable panoramic cameras for $130 each. With everything connected, Home8 is ready to go without further configuration. The system can be armed via the app or the keychain fob. If a sensor is tripped or motion is detected on the camera, the relatively anemic siren built into the hub sounds, a snapshot is emailed to you from the camera, and you receive a push notification on your phone that the alarm is active. The big advantage to Home8 is that, when the alarm is tripped, the camera records a brief video clip in addition to taking the still photo, so you can verify that it’s an intruder and not the cat. Videos can be stored via a user-provided microSD card on the camera and are automatically pushed to your phone as well. The bad news is that there’s not much room to tweak the way any of this works. You can adjust the motion and sound detection sensitivity level on the camera and set when the camera records (up to 24/7, even when the system is disarmed). Similarly, you can set the alarm to arm either immediately or after 60 seconds, and you can make a few simple decisions about the sound and delay of the siren. This is extremely basic stuff, though, and users who want to really drill into the way their security system works may be frustrated by its limitations. This home screen might look well-organized and easy to use, but it’s surprisingly unintuitive. Actually figuring out how to use the Home8 isn’t the most intuitive thing, either. The main screen of the app is divided into a series of color-coded panels which aren’t entirely clear at first. The “Activity” panel only shows history for the door/window sensors, not the motion sensor and, crucially, not the video camera. For that, you must tap the “Video” panel, but this only shows live video. If you want to see recorded video (triggered by motion in front of the camera or a sensor being tripped) you must visit the “VideoGram” panel, which provides a historical listing of video recordings. Other panels—“Medication,” “Temperature,” and “Automation”—don’t do anything with the equipment that comes in the starter kit. For that stuff, you need to add additional hardware, ranging from a water leak sensor ($50) to a pannable camera with in-app control ($130) to a medication dispenser system ($230) designed for remote caregiving. The Home8 system does not include any professional monitoring, but if you want to enable video recording and playback (instead of just live video) you’ll need to subscribe to the $10-per-month Premium plan. Additional users cost an extra $5 per month as do additional cameras beyond the second. Both of those options require you to be on the Premium plan. That said, when I installed the system in June, I promptly received a notification that my 30-day Premium trial had expired in back in March. Oddly, the video recording features still seemed to work just fine for me, even on the (free) Standard plan, so who knows what the real story is. Ultimately, Home8 works fairly well—although I couldn’t get the motion sensor included in the box to detect anything—and once you master the quirky interface, it’s fairly easy to see when sensors were tripped and who did the tripping. Without the video recording feature, the system wouldn’t really merit recommending, as better and more intuitive options are available, but if this feature set sounds right for you, it’s not a bad choice at this price level. While it’s a basic security setup at heart, the addition of video recording gives it a utility beyond its price tag.